Kuala Lumpur: Influential former prime minister Mahathir Mohammad on Tuesday criticised the takeover of crisis-hit Malaysia Airlines by the country’s sovereign wealth fund as a recipe for more losses by the carrier. Sovereign fund Khazanah Nasional, which has controlled the airline for years via a 70 per cent ownership stake, said last Friday it plans to buy all remaining shares, delist the stock, and take the carrier private before undertaking a “complete overhaul”. The fund acted after the double tragedies of flights MH370 and MH17 pushed Malaysia Airlines (MAS) — which had already been losing money for years — to the financial brink. “Khazanah has been in full control of Malaysia Airlines all this time. And all this time Malaysia Airlines has been bleeding profusely,” Mahathir, prime minister from 1981-2003, wrote on his blog. On July 17, MH17 was shot down over war-torn eastern Ukraine, with another 298 people killed. 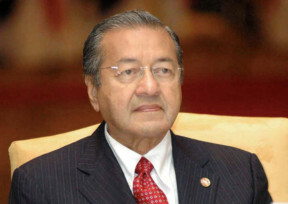 Mahathir suggested Khazanah may have difficulty renegotiating contracts with politically connected supplier businesses that are unfavourable to MAS. Some aviation experts have raised similar concerns that politics, cronyism and Khazanah’s own track record with MAS could prevent the aggressive action needed to resuscitate the carrier. Analysts said Khazanah needs to bring in a dynamic and entirely new management team, trim its 19,500 employees in the face of union resistance, and scrap major routes if MAS is to survive.